Save BIG when you take advantage of one of the weekday specials, multi-day specials, or package deals below! Reserve early as supplies are only available while they last! Reserve online in just 5 minutes! Have a coupon to another company? Use it here! We accept most competitor coupons that are in print up to $25 off a single inflatable rental or $70 off two inflatables rented at for the same time and location. Try using the code directly on the coupon or just put the code in the comment section of your online reservation and we'll update it for you! 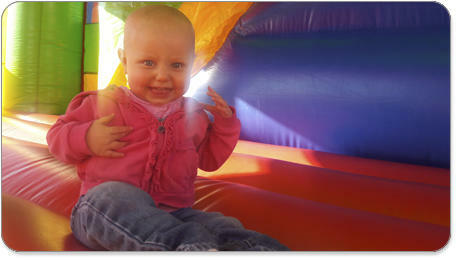 Rent any Bounce House OR Combo on a Monday, Tuesday, or Wednesday for full price and get your 2nd day for FREE! 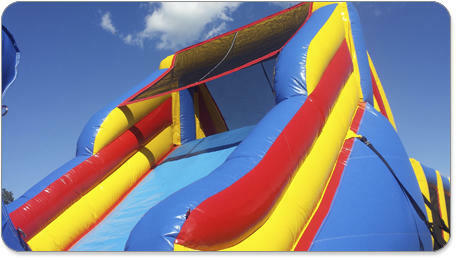 You must reserve the inflatable online for two days and use coupon code below during check-out. First day must be a Monday, Tuesday, or Wednesday to be valid. Excludes holidays. Froggy Hops specializes in the organization of events of all sizes! We have tons of experience working with local schools, non-profits, and churches for carnivals, picnics, fundraisers, and more! We offer FREE delivery to most of the Twin Cities metro and FREE set-up - even indoors! 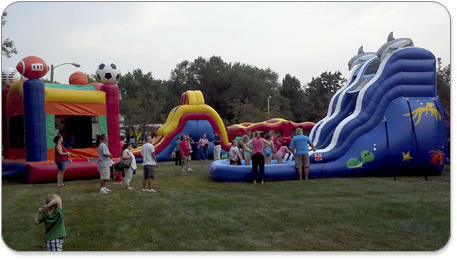 We encourage you to consider including Froggy Hops inflatables at your upcoming event! Customized quotes are FREE! Make it a weekend of memories! Reserve your Froggy Hops inflatable and get each consecutive day DISCOUNTED! 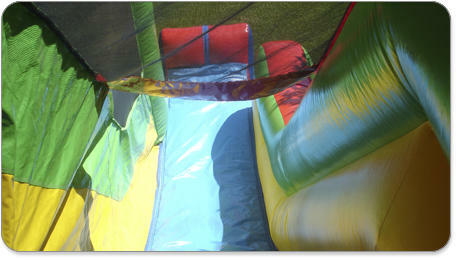 We offer the full 2-Days with a bounce house for only a $60 upgrade and combos for just $95! Compare these overall prices - they are the most competitive in the industry! And yes, Froggy Hops offers free overnights to make this a full weekend rental! No coupon code required - just order online! Froggy Hoppers Weekday Specials are valid for single-day rentals on Mondays, Tuesdays, Wednesdays, or Thursdays. Not valid holidays or National Night Out/Nite to Unite. You must reserve online using coupon codes below to take advantage of the special. 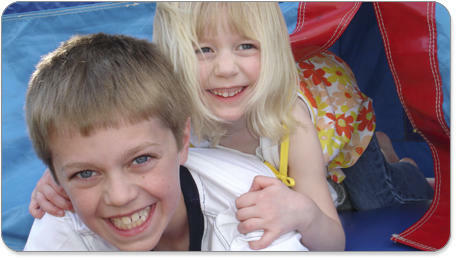 Rent any bounce house for a single-day on a weekday and SAVE $27! Weekdays are M, T, W, or Th. Not valid on holidays or Night to Unite. Copy code below to use during your online reservation. 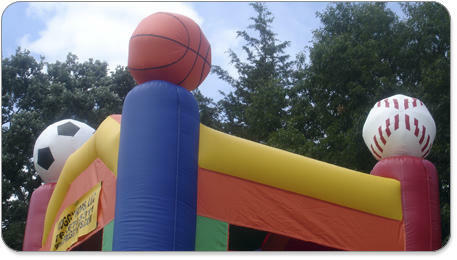 Rent any combo bouncer for a single-day on a weekday and SAVE $32! Weekdays are M, T, W, or Th. Not valid on holidays or Night to Unite. Copy code below to use during your online reservation. 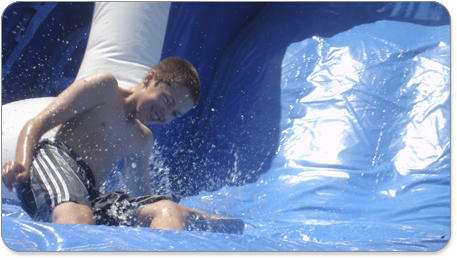 Rent any water slide for a single-day on a weekday and SAVE $36! Weekdays are M, T, W, or Th. Not valid on holidays or Night to Unite. Copy code below to use during your online reservation. Specials are not valid in conjunction with any other offer or discount. Specials are not valid on holidays, including New Years Eve and Day, Easter, Memorial Day, July 4th, National Night Out, Labor Day, Halloween, Thanksgiving, and Christmas Eve and Day.